Buy and Download > Description This is "What A Friend We Have in Jesus" arranged for big band 544 piano/rhythm and is an instrumental work. It is scored for 2 alto saxes 2 tenor saxes 1 baritone sax 4 trumpets 4 trombones Piano/Lead with chords for rhythm section. This arrangement also included solo lead parts for Bb Eb and bass clef C instruments. and optional lead vocal. This also includes the original transcribed instrumental solos for trumpet and trombone from the recording and simplified versions for trumpet and trombone. This is a great to feature your soloists. It uses instrumental solos as the base. The arrangement does climax with a strong celebrative alto sax solo. THis work is great for younger and more season players alike. Be sure to download the FREE audio recording of this arrangement. You can also down load a sample of the score of this work right here on this page. There are smaller instrumental versions of this same arrangement. 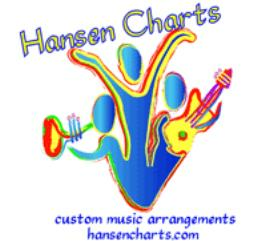 Contact us for more information or click here to view more Christian/Gospel Big Band chart titles on our website.